Although much has been written in the health care literature regarding spondylolisthesis, the clinical decisions required for management remain challenging. This condition, which affects adolescent athletes, adults, and the geriatric population, is not necessarily associated with a pars defect and has a wide range of treatment options - from bracing to spinal manipulation to fusion surgery. So, what is the best and most effective treatment for chiropractic patients with a spondylolisthesis? How can we go beyond symptomatic care to provide long-term support for the spine with spondylolisthesis? Traditionally, spondylolisthesis is defined as an anterior displacement of a vertebral body in relation to the segment immediately below.1 There are several types of spondylolistheses, with the most common being spondylolysis of the pars interarticularis, occurring in the young, and degenerative, which occurs in older patients. The vast majority of spondylolistheses are found in the lower lumbar region, with rare occurrences in other spinal regions. We now understand that most spondylolistheses seen before the age of 50 are due to a break in the pars that occurred during childhood or adolescence (often during athletic activities requiring lumbar extension). When seen after the age of 50, a degenerative cause becomes more likely. Classifying Spondylolisthesis from a clinical viewpoint is very helpful. One system describes four classical presentations: recent spondylolytic Spondylolisthesis (RSS); pre-existing spondylolytic Spondylolisthesis - stable (PSS-S); pre-existing spondylolytic Spondylolisthesis - unstable (PSS-U); and degenerative Spondylolisthesis (DS).3 By placing each patient in one of these four categories, clinical decision-making is simplified and effective treatment can be provided. Another useful approach is the use of an algorithm to assist in determining imaging and treatment options. One of the major physical abnormalities that occurs with fibromyalgia lies in the muscle itself, where there is a buildup of a protein called “Ground Substance.” Ground substance is normally found in muscle, bone and connective tissue all over the body and is responsible for making the tissues stronger and less susceptible to tearing. In a normal person, when a muscle is injured, the muscle tissue itself is able to regenerate and over time, completely heal itself. In a person with fibromyalgia, the muscle is unable to completely heal itself. Instead, an abnormally large amount of ground substance builds up in the injured area. It is the ground substance, coupled with local muscle spasm it creates that creates the muscle ‘knots’ associated with fibromyalgia. The primarily young athletes who comprise the RSS group have an active stress fracture of the pars, and benefit most from avoidance of hyperextension. Activity restrictions and use of a rigid lumbosacral brace often will produce a successful outcome.5 The most common type of Spondylolisthesis seen in chiropractic offices is the stable pre-existing type (PSS-S). Response to chiropractic care is often excellent. Studies have shown that when a Spondylolisthesis is found in an adult, specific side-posture manipulations to the dysfunctional joints are quite effective, and that the prognosis is not significantly different from other patients.6 These researchers reported that the spinal segments most commonly needing adjustment were the ones above or below the spondylolisthetic segment, as well as the sacroiliac joints. Flexion-distraction also has been found to be a successful treatment method, as long as the patient does not demonstrate instability (PSS-U); in unstable patients, the treatment provided little benefit. An important approach to the treatment of patients with Spondylolisthesis is to strengthen and re-coordinate the deep support muscles of the lumbar spine. An attempt is made to improve the dynamic stability and segmental control of the spine. These muscles include the multifidus muscles and the internal oblique and transverses abdominus muscles. Exercises to train the co-contraction patterns of these muscles often are called "spinal stabilization" exercises. Specific maneuvers include: posterior pelvic tilt; lower abdominal hollowing; and abdominal bracing. The exercises are started non-weight-bearing while lying supine and/or prone, and then progress to quadruped (on all fours) if the position does not worsen symptoms, and finally to upright sitting and standing positions. They are described as low-resistance, isometric exercises whose focus is on precision of performance and re-learning of function. A 10-week program of supervised exercise sessions designed to progressively incorporate these postures into daily activities was found to reduce back pain and disability levels significantly over more than two years in subjects with Spondylolisthesis. Many patients with Spondylolisthesis develop postural asymmetries over time. One important factor in treatment is the correction of any loss of the normal upright alignment of the pelvis and spine. While there is no standard "spondylo posture," it is not unusual to see a change in pelvic alignment (often a forward-flexed pelvis) or in lumbar spinal curve. The lumbar changes can be either a hyperlordosis or (in some cases) a lack of normal lumbar lordosis. Patients will need to be shown corrective exercises specific for the postural imbalances they have developed. Another important consideration for long-term support of the spondylolisthetic spine is the use of custom-made orthotics. Since many of these patients have low or absent arches in their feet, the additional support from a pair of custom-made orthotics frequently is necessary. In fact, lower-extremity misalignments such as leg-length discrepancies and pronation problems are often are associated with chronic pelvic and low back symptoms. 1. Yochum TR, Rowe LJ, eds. Essentials of Skeletal Radiology, 2nd ed. Baltimore: Williams & Wilkins; 1996:327. 2. Souza TA. Differential Diagnosis for the Chiropractor. Gaithersburg, MD: Aspen Pubs; 1997:132. 3. Hyland JK. Clinical classification of spondylolisthesis. J Am Chiro Assoc 1993;30(8):67-71. 4. Yochum TR et al. Natural history of spondylolysis and spondylolisthesis. In: Yochum TR, Rowe LJ, eds. Essentials of Skeletal Radiology, 2nd ed. Baltimore: Williams & Wilkins; 1996:365-367. 5. Blanda J, Bethem D, Moats W, Lew M. Defects of pars interarticularis in athletes: a protocol for nonoperative treatment. J Spinal Disorders 1993;5:406-411. 6. Mierau D, Cassidy JD, McGregor M, Kirkaldy-Willis WH. A comparison of the effectiveness of spinal manipulative therapy for low back patients with and without spondylolisthesis. J Manip Physiol Therap 1987;10:49-55. 7. Cox JM. Chiropractic adjustment results correlated with spondylolisthesis instability. J Man Med 1991;6:67-72. 8. Richardson C, Jull G. Muscle control-pain control. What exercises would you prescribe? Man Therapy 1995;1:2-10. 9. O'Sullivan PB, Twomey LT, Allison GT. Evaluation of specific stabilizing exercises in the treatment of chronic low back pain with radiologic diagnosis of spondylolysis or spondylolisthesis. 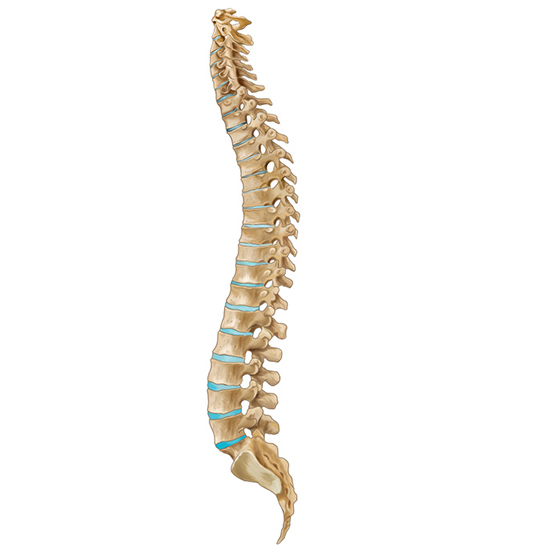 Spine 1997;2:2959-2967. 10. Rothbart BA, Estabrook L. Excessive pronation: a major biomechanical determinant in the development of chondromalacia and pelvic lists. J Manip Physiol Therap 1988;11:373-379.